Imagine, you are in a new city and don’t know the places where you can find your favorite food. What would you do? You probably open your smartphone browser and Google it. There is a chance that you find the right place but do you know how the search worked for you? Probably not, it was Google’s search engine that served you an answer based on your queries. It is not just you, Google today receives more than 30+ billion queries per month across platforms. It has become a boon for internet marketing professionals for some time now. But, what is search engine marketing? And how does it fit into the mix? 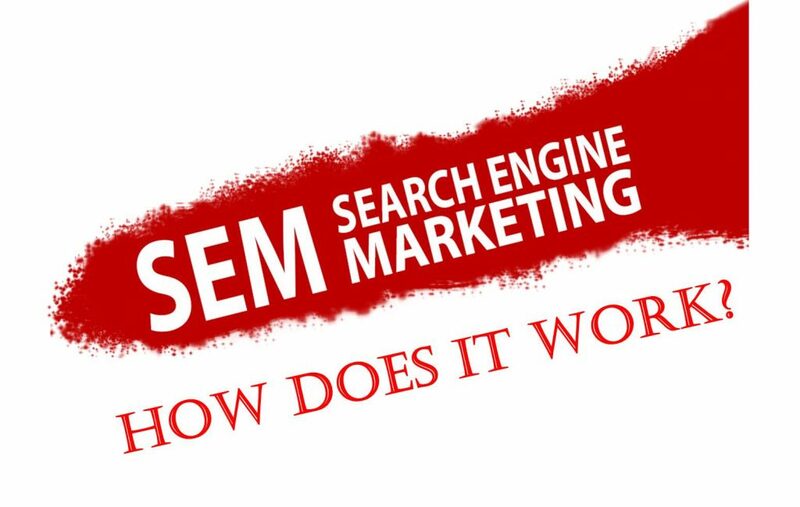 Earlier, the term used to refer both organic and paid search activities but today SEM refers almost exclusively to the paid search advertising. However, SEM may incorporate SEO, which adjusts or rewrites website content and site architecture to achieve a higher ranking in SERP to enhance paid ad campaign. SEO & SEM involves some common tasks such as keyword research, competitive analysis, listings and other search engine services. Crawling, Indexing and Retrieval are the three stages for search engines. Crawling discover the information from the web; Indexing is the process when the search engine analyses the information and store in its database. And retrieval, where a user query fetches a list of relevant pages. Search engines use complicated algorithms to ensure the most relevant results are returned for each search, including location and other available information. In paid search advertising, sponsored ads appear at the top of and on the side of search engine results pages to gain more visibility and prominence than the organic results. These ads appear in prominent locations on the page – along with the other search listings that match your keywords. The paid listings are highly relevant to your specific search, making it likely that you will click on them. Why is search engine marketing strategy important? The industry report suggests that 81% of consumers conduct research online before buying any product. In fact, about 57% of a purchase decision already has been made through a search engine and other online research before a prospective customer engages with a company representative. Therefore, search engine marketing has become a crucial strategy for increasing a company’s reach. Since consumers enter search queries with the intent of finding information of a commercial nature, they are in an excellent state of mind to receive marketing messages and to be nurtured as prospective customers. In search engine marketing, advertisers only pay for impressions that result in visitors, making it an efficient way for a company to spend its marketing dollars. As an added bonus, each visitor incrementally improves the website’s rankings in organic search results. Results are immediate with SEM. It is arguably the fastest way to drive traffic to a website. Setting up your first SEM campaign? Search engines allow you to create both the text-only and display ads for your search engine campaign. You can use either one or both to target your customers. The display ad is little difficult to set up while the text ads require a catch headline with body text, a call-to-action and a URL for the hyperlink.